Słowiki Nowe [swɔˈviki ˈnɔvɛ] or Nowe Słowiki is a village in the administrative district of Gmina Sieciechów, within Kozienice County, Masovian Voivodeship, in east-central Poland. The name means "New Słowiki" (it is close to the village of Stare Słowiki, which means "Old Słowiki"). The word słowiki in Polish means "nightingales". 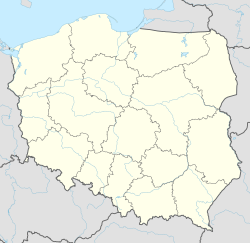 It lies on voivodeship road 738, approximately 6 kilometres (4 mi) west of Sieciechów, 9 km (6 mi) south-east of Kozienice, and 89 km (55 mi) south-east of Warsaw. This page was last edited on 24 March 2017, at 12:22 (UTC).